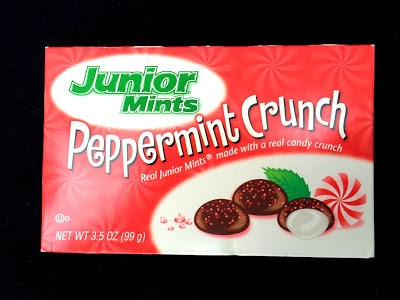 I've covered these Christmas season Junior Mints Peppermint Crunch in the past (read past reviews here). I love them. 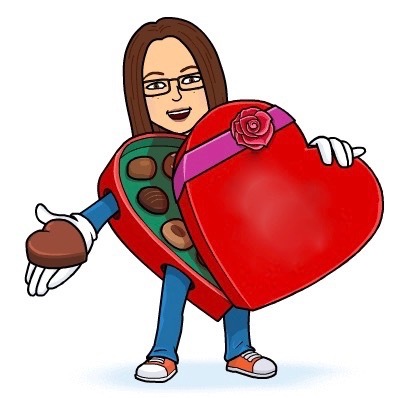 I wait all year for them. In fact, they are one of the very few examples of Limited Edition seasonal candy that I prefer over the original. It's not like they are so different from classic Junior Mints. 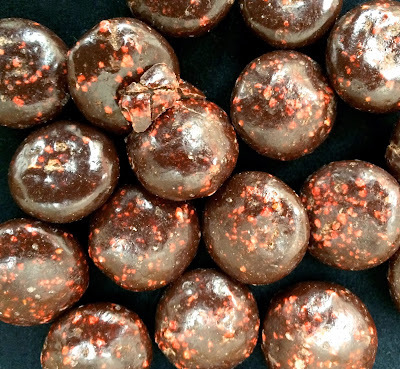 However, the Christmas Edition has red sugar crystals embedded in the chocolate coating which adds a tiny bit of crunch to each bite. There's something really satisfying about that added crunch to the all-soft candy. It gives each bite more substance. I wish there was a way for Junior Mints to have these on the market year-round.